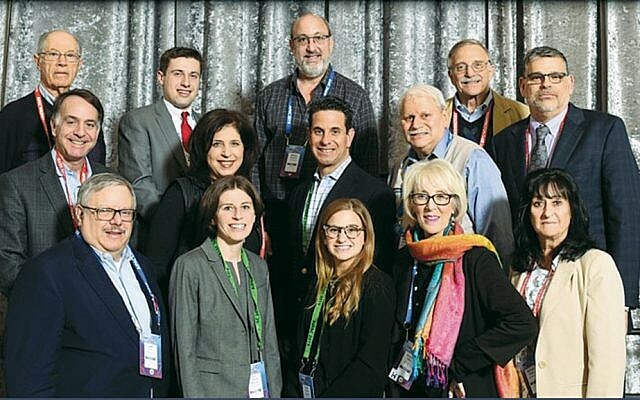 Members of Temple Emanuel of the Pascack Valley in Woodcliff Lake went to the AIPAC 2019 Policy Conference in Washington D.C. 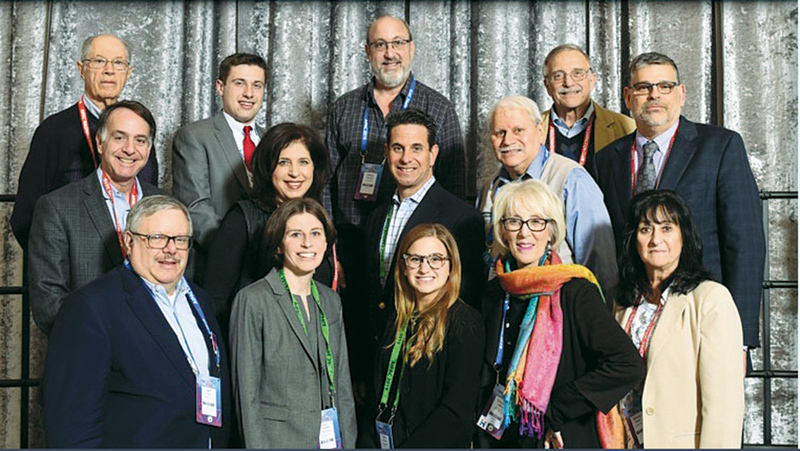 Shown here, front row, from left, are Jeffrey Levin, Rabbi Loren Monosov, Nina Stewart, Simone Wilker, and Norma Walsky. Middle row, Scott Miller, Randy Miller, Todd Stewart, Barry Blecher, and Cantor Alan Sokoloff. Top row, Marty Prince, Jonathan Levin, Jeff Steinfeld, and Robert Walsky.